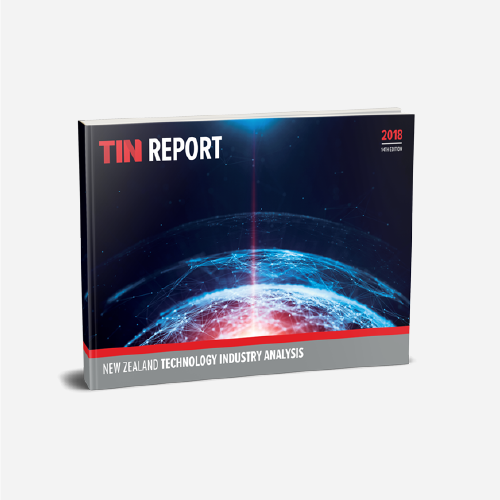 Auckland, 24 October 2018 – The 2018 TIN Report, launched tonight at a gala awards event in Auckland, shows that turnover for New Zealand’s top 200 (‘the TIN200’) technology companies increased by 11% to reach $11.1 billion in the past year; the second billion-dollar growth result in three years and the driver behind a record profitability** rise for this group of companies. Exports growth drove this expansion, growing 12.4% to reach a total of nearly $8 billion, helping companies achieve the economies of scale needed to grow profitability by a record 38.1%. The North American and Australian markets provided the bulk of export dollar growth ($571 million in combined growth); however, Europe was the fastest growing sector (16.7%) highlighting the ability of the TIN200 to compete and win globally. ICT companies accounted for almost half this year’s TIN200 revenue growth, adding $521 million in com-bined revenue. The TIN200’s High-tech Manufacturing and Biotech firms also trended above their histori-cal averages, increasing revenue by 8.6% and 13.6%, respectively. For the first time in the 14-year history of the TIN Report, there are more ICT companies than High-Tech Manufacturing firms in the TIN200, reflecting the rapid proliferation of high-growth ICT companies in New Zealand over recent years. Furthermore, of the record 19 new entries joining the TIN200 ranks this year, more than half of these were ICT firms. The Fintech secondary sector recorded the highest growth with a 33.2% increase in revenue for the year (a rise of $220 million). 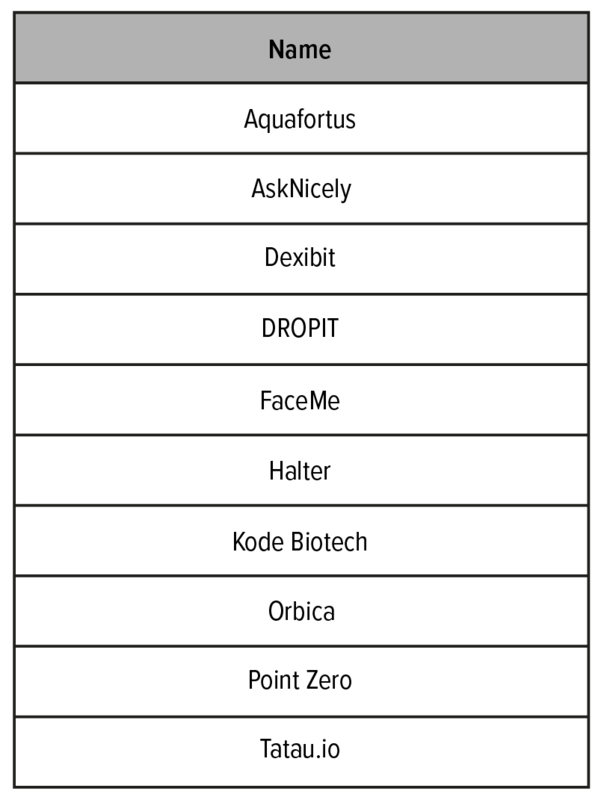 In addition, nine of the twelve TIN secondary sectors improved profitability. Growth in 2018 was shared equally across the TIN200 companies with every revenue band growing by over 8%. Smaller TIN companies with turnover below $20 million experienced a growth resurgence this year with a 12.8% revenue rise, tripling their growth rate from last year’s Report. This year’s TIN Report shows that growth was also spread across all New Zealand, with over half of the regions achieving revenue increases over 10%. The combined Greater Auckland and Northland regions accounted for 122 of the TIN200 companies and had a particularly strong year – contributing 54.9% (or $604m) of total TIN200 revenue growth. The Hamilton and North Auckland/Northland regions each grew by over 16%, and Otago/Southland grew by 13%. The Wellington/Lower North Island region grew by more than 12% to reach more than $2.3 billion of this year’s total TIN200 turnover; the second-largest revenue generator after South Auckland (with $5.2 billion revenue). 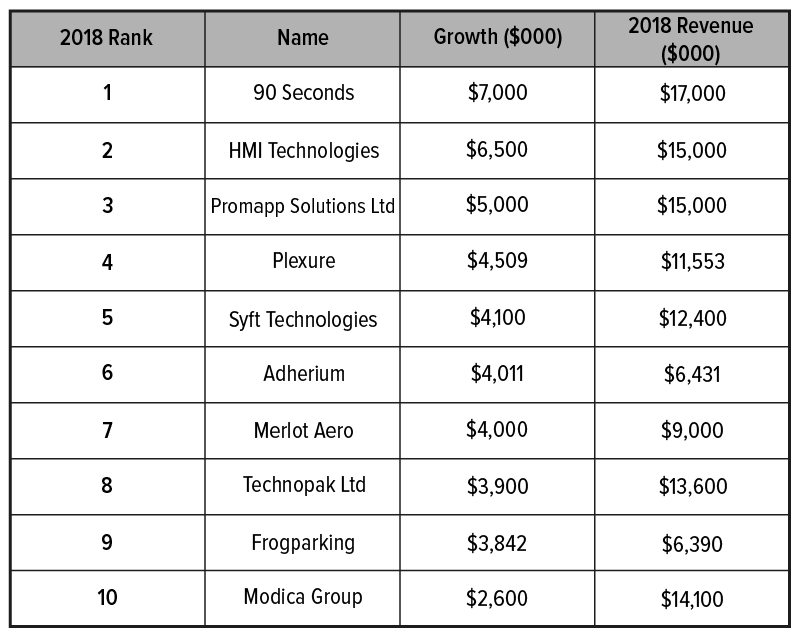 Research and Development spend rose almost in line with revenue growth, rising 10.2% to just below $1 billion ($991 million). This suggests that the TIN200 place innovation at the heart of their core competen-cies and a key to their continued success. According to the TIN Report, the tech sector now employs 47,417 people globally with just over half in New Zealand (25,451). These jobs yield significantly higher wages than the national average, providing the opportunity for tech to help raise wellbeing and address economic disparities in New Zealand. Foreign interest in New Zealand technology remains buoyant. TIN-tracked companies received more than $200 million in offshore investments in the past two years, including $41.2 million dollars invested in FY2018. There were also eight foreign buyouts of TIN200 firms in the past year, all focused on companies in sectors with high growth and unique IP. 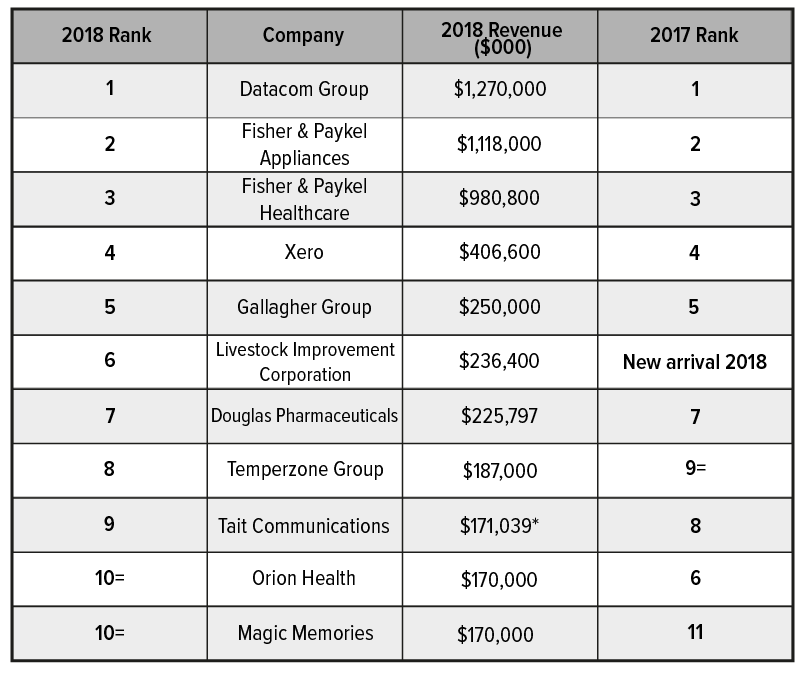 The EY Ten Companies to Watch list recognises the TIN200 companies with the highest dollar value increase in revenue in the past year. Included are companies that have provided revenue figures and achieved a minimum growth of 5%.. 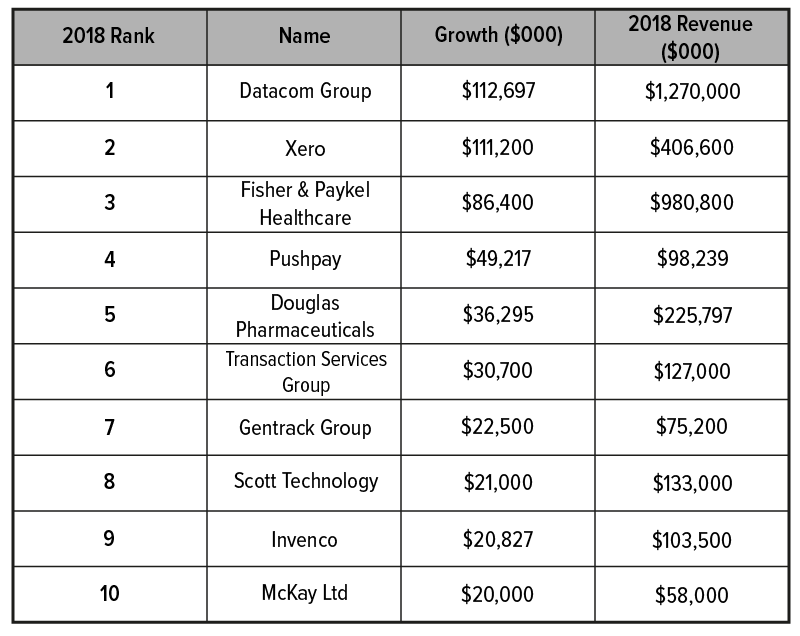 The Absolute IT Supreme Scale-Up Companies list recognises the Next100 companies (ranked between 101-200 in the TIN200) with the highest dollar value increase in revenue in the past year. Included are companies that have provided revenue figures and achieved a minimum growth of 5%. The award recognises promising TIN companies that are in an early stage of the company lifecycle (development, pre-commercialisation or in market stages) from the 2018 TIN100 Report. These companies have been selected based on an assessment of the innovation of their technology and the potential market opportunity.